This past weekend we went camping again! Well “glamping,” as my friend Angie calls it. I’ll admit, it’s not quite “roughing it” like camping in tents, but when you’re taking along your 4 year old, 2 year old, and 1 year old, camping in your dad’s travel trailer is pretty close! So, I got us lost again driving there (my husband really should fire me from being the navigator), but it was worth the confusion and extra time getting there. We actually got to Huaco RV Park when it was dark outside, so I was in for an amazing surprise in the morning. See? 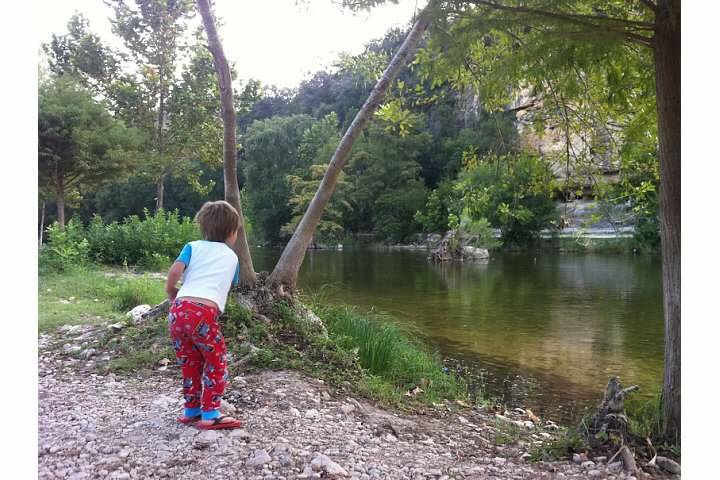 Noah led me down to the river in the morning to go throw rocks while Timmy slept. My soul was already being filled with goodness and sunshine. Once all the boys woke up we all went to Landa Park. Best. Park. Ever. 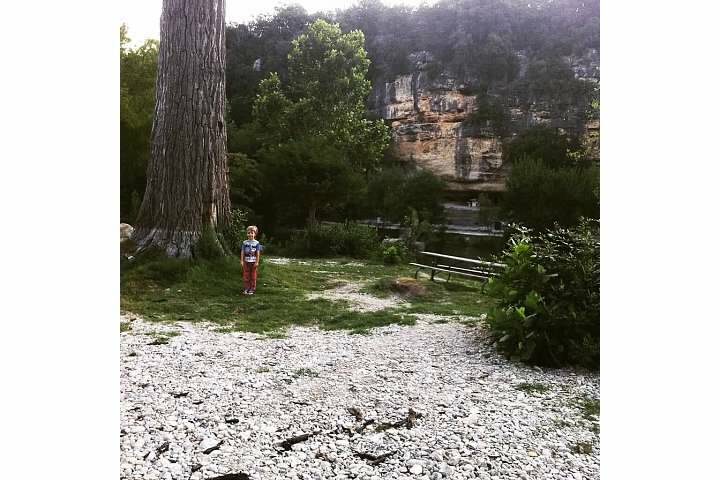 Seriously, I want to move to New Braunfels just for this park (and the scenery, and the river, and the hiking trail). We went to the playground and I was already razzled and dazzled. 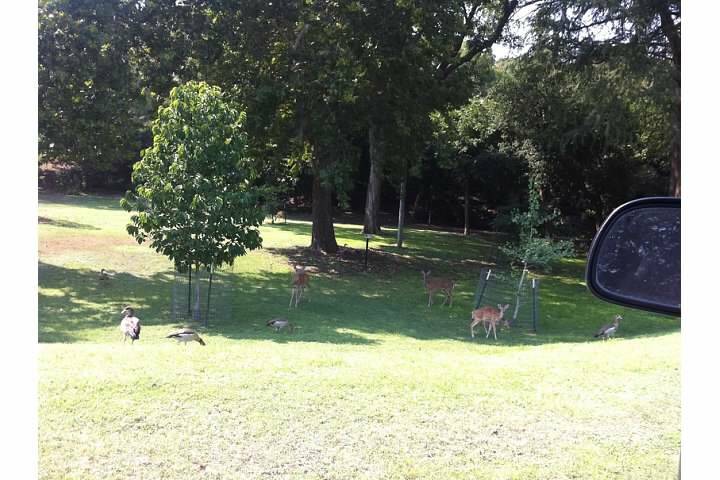 Geese, squirrels and deer were surrounding the park while we played. 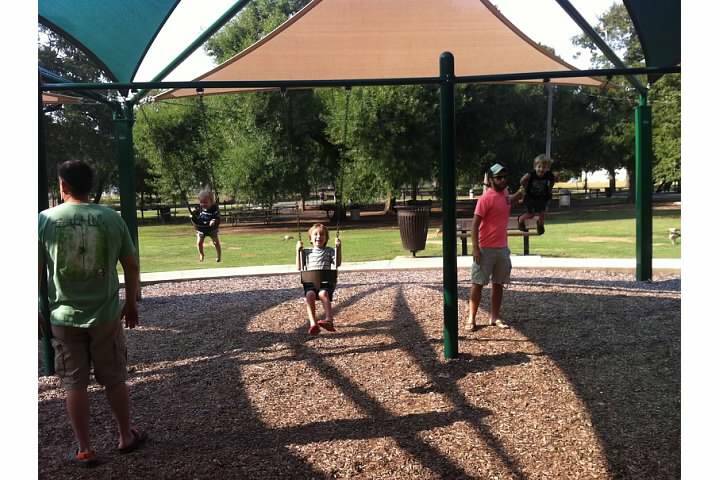 There were multiple playgrounds arranged by age. 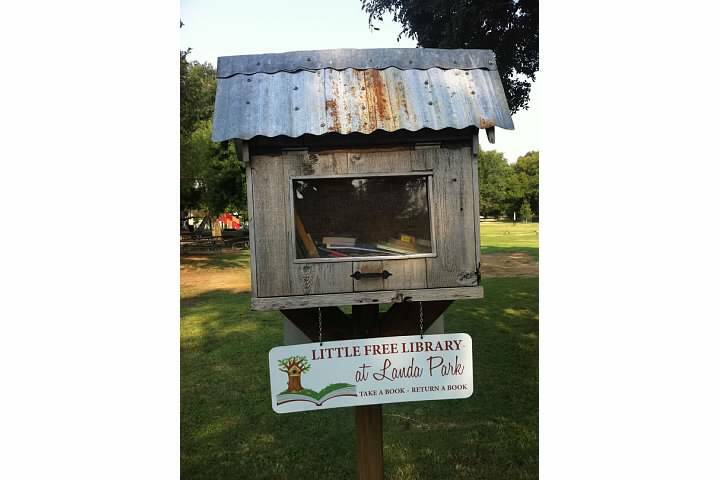 A little free library was nestled in between playgrounds, and creative monkey bars were made in to a fire truck. My boys could have stayed here for hours, but we had a potty training 2 year old. 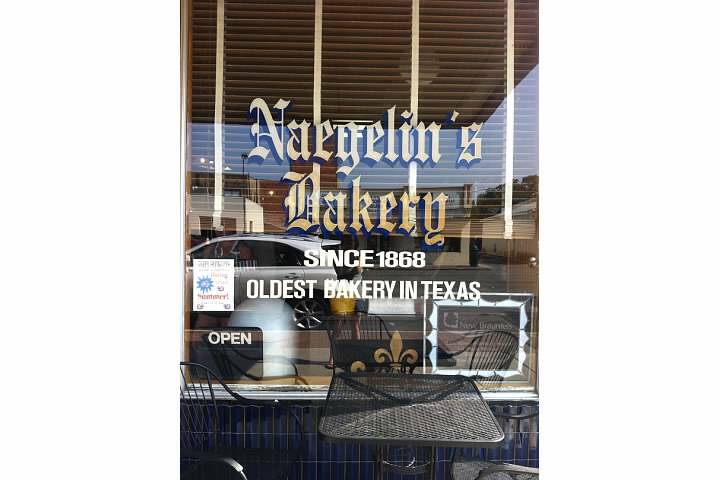 Since we worked up an appetite at Landa Park my dad took us to Naegelin’s Bakery, the oldest bakery in Texas. Yummm. It was delicious and the service was great. Even though we came in with 3 hungry and excited little boys, the workers were so sweet and helpful. 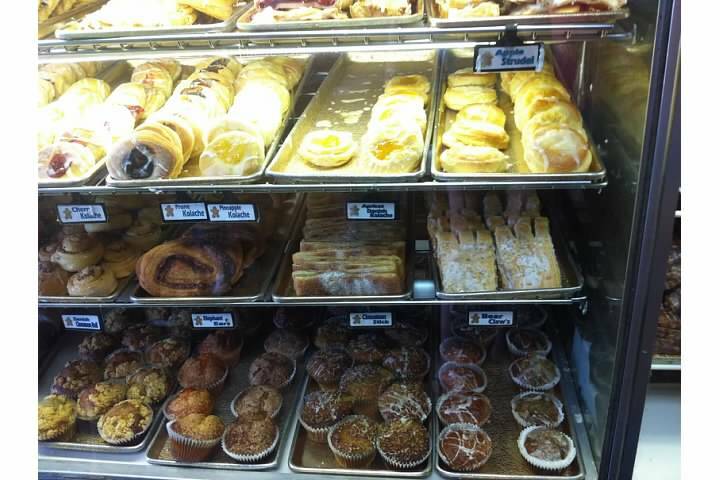 They have a variety of options from decorated cookies, donuts, breads, and pastries. I apologize in advance for not taking a picture of my donut, but if you ever go you need to get this donut. Here is what it is: a glazed donut BUT the donut hole hasn’t been taken out and they filled it with a chocolate cream that you’ll want to swim in. Y’all, seriously it’s delicious! After that we headed back to Huaco RV Park to eat some lunch and take a nap. Little Isaac decided to take a nap next to me, and I didn’t mind at all. I got a good one hour snooze in. It was a rare occurrence. Once we all woke up we went down to the river. Now, lucky for us, it was Friday so we had the river pretty much to ourselves. We did what young boys do best: explore and throw rocks. Note to self: when planning on playing in the river, bring better shoes than Old Navy flip flops. I almost lost one! Before we knew it, it was dinner time. We spent the rest of the day relaxing outside, playing cars and killing ants. 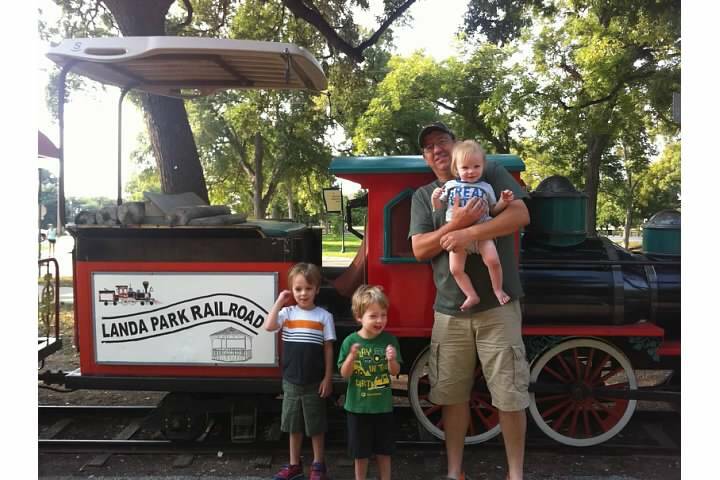 On Saturday we had a mission: ride the train at Landa Park! After breakfast we headed for the park. We arrived a little early so we got some wiggles out on the playground before going riding on the train. Noah and Tim wanted to ride the caboose so we rode on the back. It was well worth the wait. 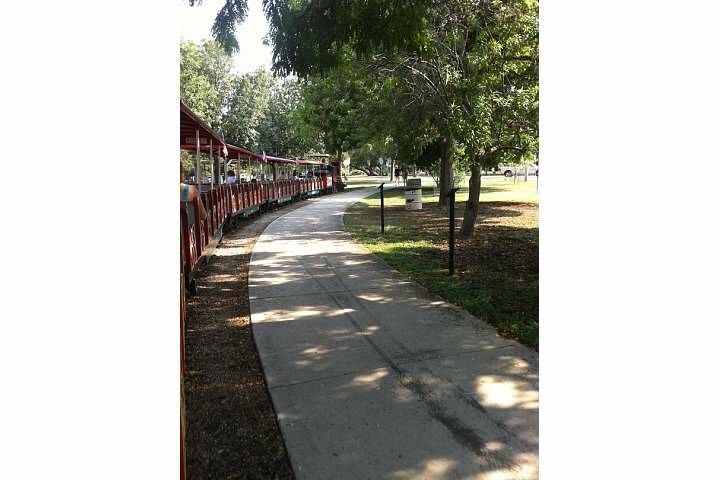 The tracks take you all around Landa Park: the playgrounds, the river and past the swimming pool. The conductor was very friendly too, and dressed the part! The rest of our time was spent at the RV Park. We explored the river, and enjoyed the natural springs swim area that was in the park as well. If we didn’t have our kiddos with us, we would have tubed down the river, but we settled for splashing around the shallow areas and throwing rocks. We all had a blast. We will be going back for sure next summer! I hope you enjoyed reading about our adventures, now go outside and make some of your own! Go feed your soul and get some sunshine! What do you love about the outdoors?